Trees are a great sound barrier! If you live next to a highway or train, or campus full of college kids, you may want to regain the beautiful sound of silence. Tree leaves are great at naturally muffling the sounds that you’ve tolerated. Trees provide shade for your home in the heat of summer, and they add wind protection all year round. Overall, trees aid in keeping the temperature of your home regulated. Since trees thrive on carbon dioxide, they literally soak up carbon emissions out of the air. When you plant a tree, you’re helping the environment, and you’re offsetting our emissions. Planting a tree is one of the best ways to boost the value of your home. A healthy tree boosts your home’s curb appeal, and it can vastly increase the value of your property. Trees attract wildlife! Whether it’s big game, or honey bees, trees attract animals. So if you’re an animal lover or a bird watcher, you’ll want to fill your landscape with trees. Consider hiring us as your professional tree planters. We have the experience, know-how, and tools to get the job done right, and done quickly. 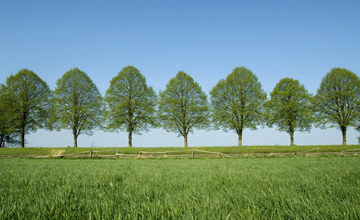 Call us now to learn more about how planting new trees can make your property a beautiful place!